Even without being in the great outdoors, the new Ortlieb Front Roller City give city bikers greater flexibility as they can be used on both the front or rear racks. The major advantage: the urban transport containers do not require any mounting. The innovative QL1 fixation system is easy to handle & the bags attach to the rack with one click. Before the first ride, the QL hook distance is adjusted with a no.3 Allen key & off you go. And if you want more, the affordable basics can be upgraded with numerous accessories. 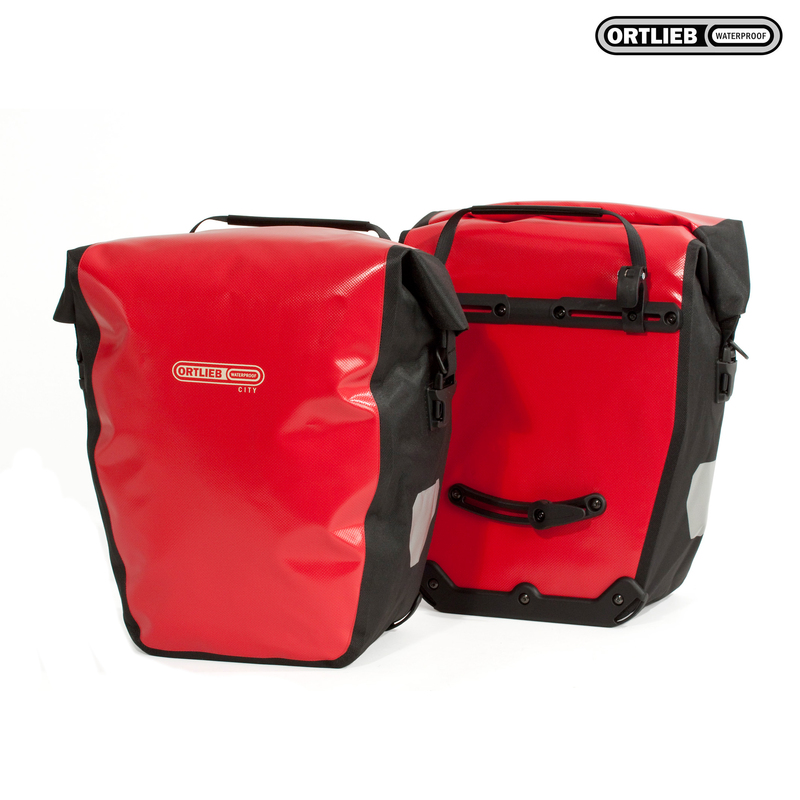 Both models are provided with edge protectors having slots for fixing the Ortlieb pannier carrying system. Great quality. Don't understand why other Ortleib panniers are so much more expensive than these. Bought a separate carry strap for a fiver and these are perfect and lighter than the £100 plus ones. Exelent value for money panniers that are very easy to attatch and remove from the bike. My only critisisum would be that the side closing straps are fidly to fasten, and are not ajustable to allow you to carry more bulky loads. Is the volume 40ltr in total ie 20ltr per bag ..? Yes, the total capacity of the pair of panniers is 40ltr so 20ltr per bag. Is This Price For A Single Pannier Or A Set Of 2? These bags do indeed come as a pair.